Chameleon Coffee Shop and Restaurant pleases hungry palates with full-bodied breakfasts and delicious Sunday meals. 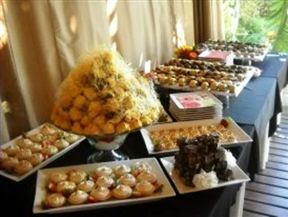 Open daily this steakhouse and coffee shop offers warm hospitality and quality food along the picturesque Garden Route. Chameleon is well-known restaurant in Kirkwood. Its a place which offers hospitality from the heart, and is known for the quality food. Chameleon offers a full breakfast menu, lunches and dinner. It's the place for breakfast runs, small weddings and more. Chameleon caters for small functions like baby showers and birthday celebrations. Chameleon Coffee Shop and Restaurant is 4.2km from the centre of Kirkwood , the nearest airport 67.1km (Port Elizabeth Airport).